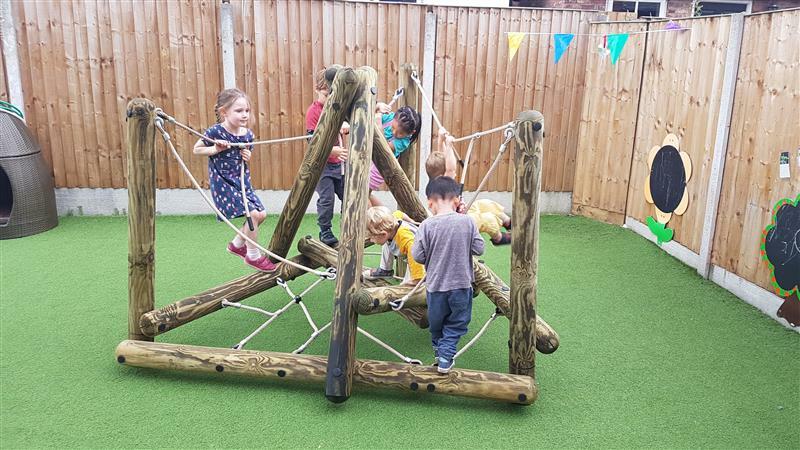 Our Pinnacle Hill Climber is an introductory climbing frame for nursery children to begin building their climbing confidence and prepare for large physical challenges in EYFS and Key Stage 1. 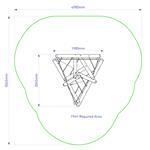 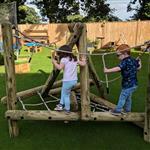 There are flexible entry and exit points, multiple crossing points and ways to climb and traverse around the challenge. 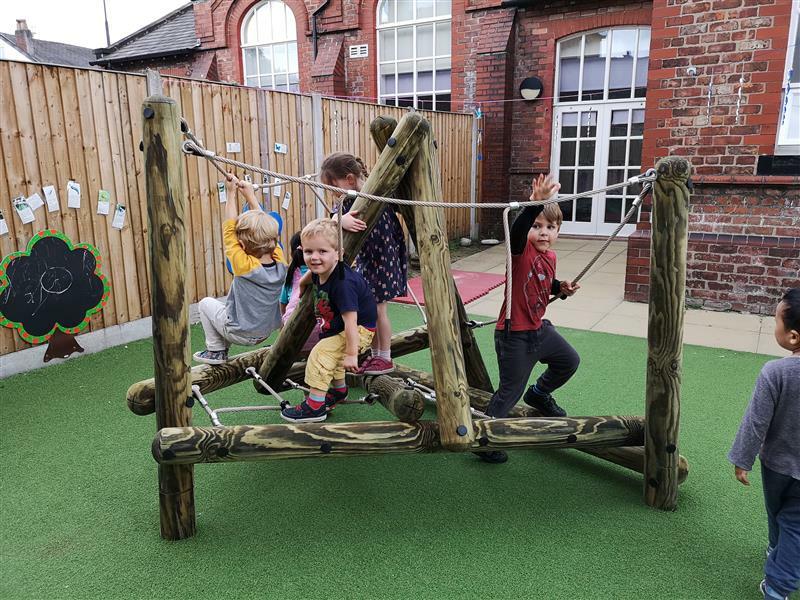 With no obvious way for the children to enter the challenge, it's a very exciting prospect for children as they begin to develop important fine motor skills, gross motor skills, balance, core stability and upper and lower body strength as they become school ready. 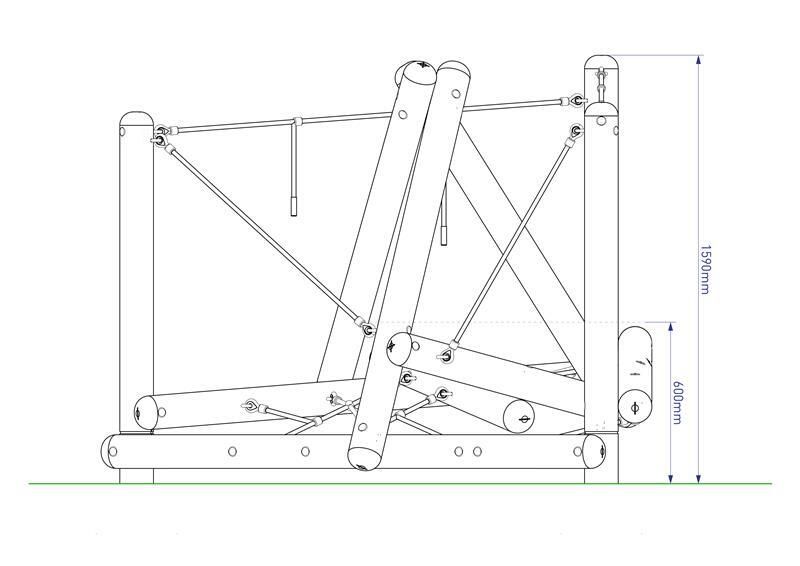 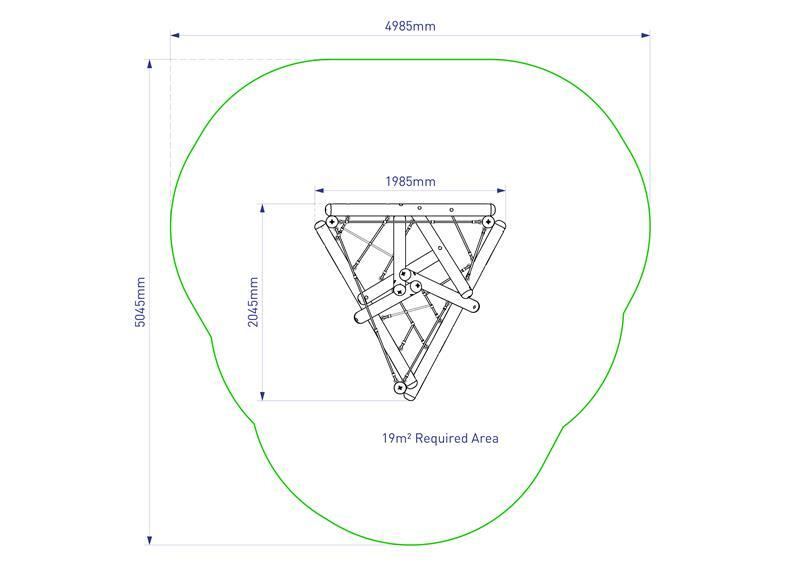 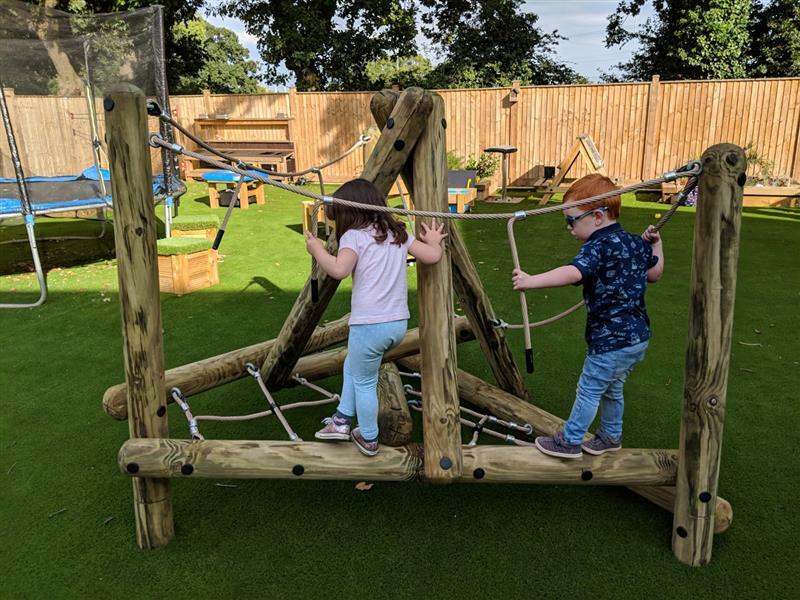 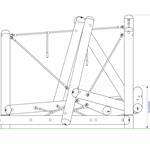 Unlike our other Log Climbing Frames , our Pinnacle Hill Climbing Frame is designed specifically for nursery children aged 2 and a half to four years old. 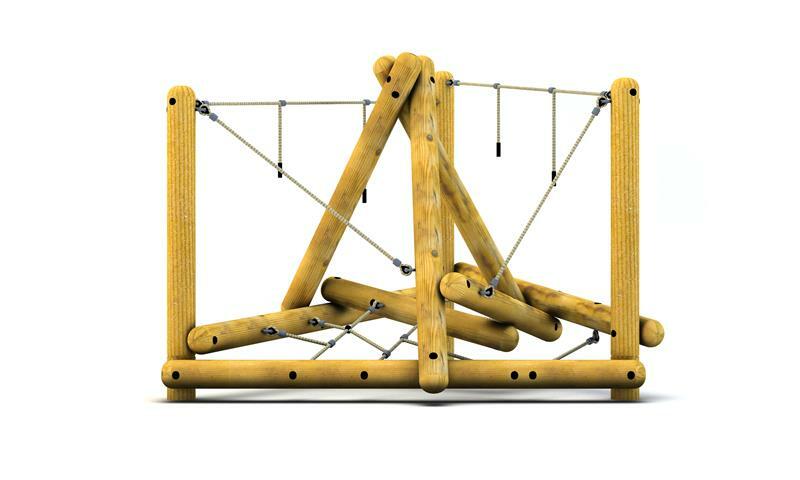 This low-level design has been produced with toddlers in mind, including dome-ended logs to create a safe, inviting climbing challenge along with a smaller diameter post to allow smaller hands to grip and grasp. 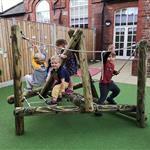 Our Pinnacle Hill Climber is the perfect non-prescriptive climbing challenge for an outdoor nursery environment. 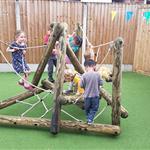 non-prescriptive, allowing children to play in any way they imagine and climb at their own pace; further building up climbing confidence.